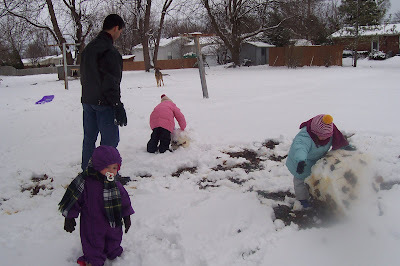 The first part of our family time was spent playing in our "winter wonderland." David came home early from studying to help us build showmen. Caiden was hilarious - he moped around with his "blankie." 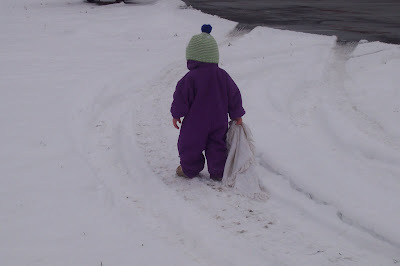 He was mad because the snow was cold on his hands, but too stubborn to keep his gloves on. He'll learn. We also made an attempt at a Christmas card picture. We're no longer perfectionistic about our cards. As long as they look fun and no one is standing on their head, it's a go. This is the card I'm considering. I know the girls aren't looking at the camera, so we may try to grab a snapshot again sometime later. Who knows. 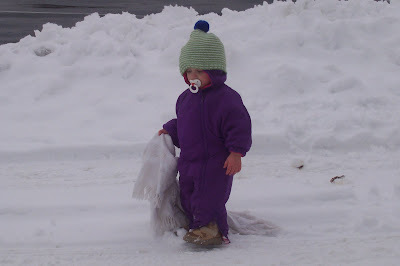 We had so much fun playing in the snow - then we went inside to thaw our toes and warm up with some freezer pizzas, chocolate chip muffins (I'm infatuated with my new Jumbo muffin pan)- and of course - cocoa and cream. 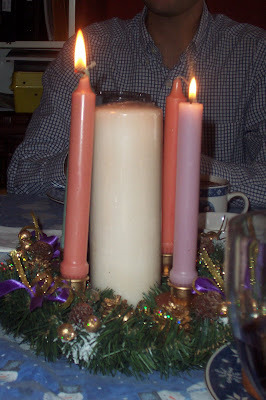 Today's advent theme was JOY! 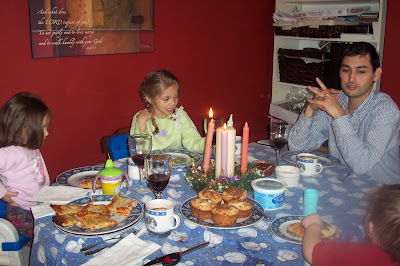 It was Karissa's turn to light the candle - which we thought was appropriate because her middle name is Joy. Her name actually means "Gift of Joy." Then, after some play time (and back to work for Daddy) we read Ordinary Baby, Extraordinary Gift and the kids went down for naps in preparation for our big night - the school Christmas play! Kayla is a talking lamb, and has a cute dialogue with a mouse. I'm pretty excited about seeing everyone's hard work. I think the card looks GREAT!! Wish I'd learned to relax about perfection in those years :) Kayla did a totally awesome job Friday night! Of course, I didn't have a clue until I got home and I was SOOOOO glad that Tony video taped their performance since I was behind the curtain. I knew it sounded awfully adorable and I was so bummed to be missing it. Would you like us to put it on cleanclips.net to share with your family or did you already figure out a way to share it? You and your kids did an awesome job again, as usual! I love your card, too! I enjoyed hearing about Karissa's (that picture of her close-up is a classic!!!) reaction to the snow. 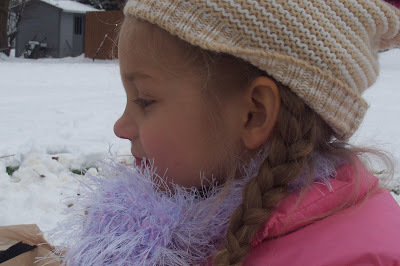 Our kids have never know any different--they love it--but assume it's normal. So glad you are writing these down, they are priceless. 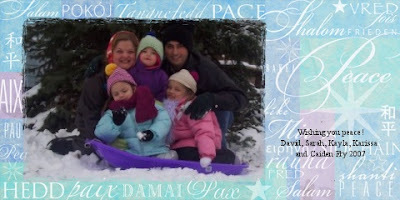 Your Christmas card looks awesome - and I also LOVE the new family photo at the top of your blog - beautiful! Looks like you all have fun doing your family fun times. I to wish I would relax a little with the perfectionism in me. Who cares if everyone isn't looking in a picture as long as we are having fun (I wish I didn't). I've got to get better before my kids are grown and it's too late. Thank you for your insightfulness. 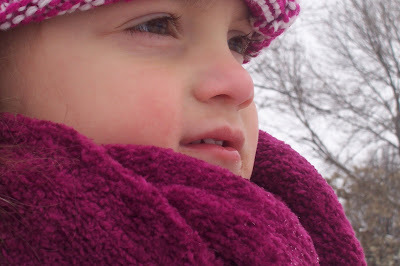 I love that your blog has little tid bits on important issues we mommies face. 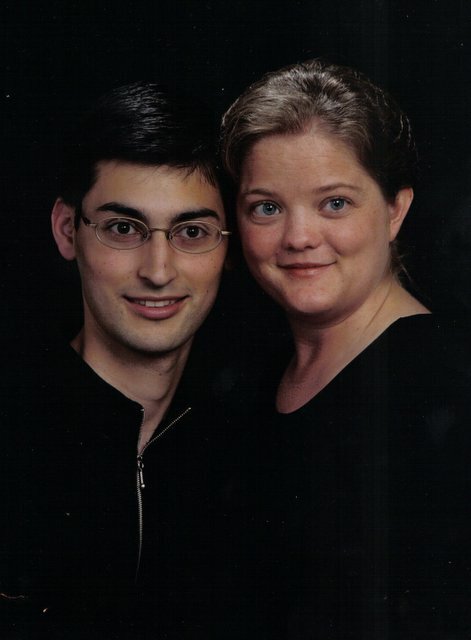 I absolutely love the card and the black and white picture of your family is awesome! I enjoyed catching up on your blog...Love the comments on being the "right" Mom for your kids and the paragraph on Christmas. I enjoyed all the pictures...Thanksgiving ,etc. Your Mom must have done a great job for you to say that your siblings are your best friends. I love my brother very much and I want my own kids to stay close. 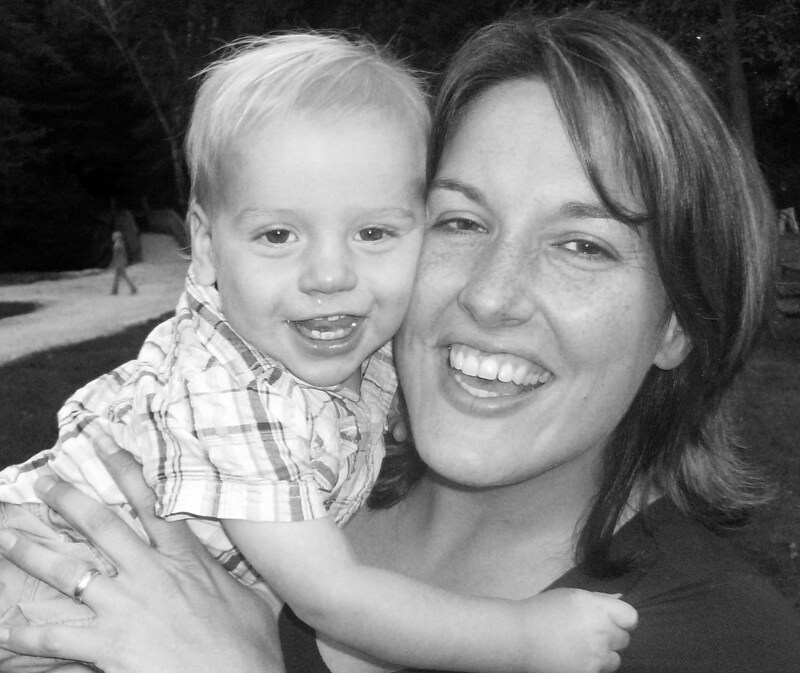 You seem to be doing a great job...at mothering,traditions and blogging! I am impressed! Have a blessed Christmas!